For most students in introductory biology, the diagram below is a familiar one. it represents the process of genetic recombination (crossing-over) during prophase I of meiosis. Effectively, this is the first step in the shuffling of the genome in meiosis – and it represents a very important first step in the generation of variation. 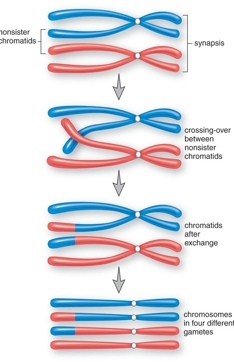 And, as most students can tell you, crossing-over occurs between non-sister chromatids of homologous chromosomes. Why? Because while the homologous chromosomes are similar (one comes from each parent), the alleles of the genes that they contain may be slightly different – thus the mixing of the two can result in new genetic combinations. Usually, I get a question from the group as to whether crossing-over can occur between the sister chromatids themselves. After some discussion, we usually come to the conclusion that this would defeat the purpose of crossing-over, since the sister chromatids are genetically identical. But then the picture becomes a little more cloudy when they are told that crossing-over does occur between the sister-chromatids. So therefore, if one of the purposes of meiosis is the introduction of variation, then why conduct crossing-over between what are effectively cloned pieces of DNA? A paper I came across in Nature from last year explains a potential reason why – if you are a parthenogenetic species (reproduction without males), you lack the ability to obtain genetic variation from your mate. Over time, this effectively limits the amount of genetic variation in the species – never a good thing from an evolutionary perspective. However, researchers from at team at the Howard Hughes Medical Institute discovered that in a parthenogenetic species of lizards (whiptail lizards; genus Aspidoscelis) that crossing-over does occur between the sister chromatids. Furthermore, this crossing-over is responsible for the maintenance of genetic heterozygosity(containing 2 different alleles) in the species. How does this occur?To make this possible, the species doubles the number of chromosomes prior to meiosis – effectively making an additional copy of the genome and forming a pair of homologous chromosomes from a single parent. This doubling allows the reduction division in meiosis to produce diploid (2n) gametes, a requirement for many species that undergo parthenogenesis. Then, the species allows for crossing-over to occur between the sister chromatids themselves. Since there are always slight differences in the sister-chromatids (they are never truly identical), small amounts of variation are maintained in the genome, and this is passed onto the next generation. As the author’s note, a better understanding of this process may lead to insight on the processes of the evolution of sexual reproduction. It should be noted that this paper is well-written and could be used in an introductory genetics or cell biology course. The methods are well-presented and the graphics and images would be very useful for students. BBC site on parthenogenetic species . 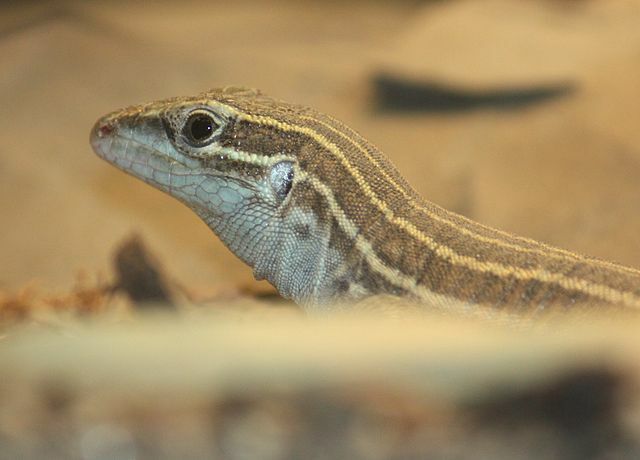 Includes pictures of the whiptail lizard.